Arguably the market leader when it comes to microstock, Shutterstock’s meteoric rise over the last ten years is widely attributed to their introduction of the subscription system which provides customers a means of downloading a large number of images for one set, monthly fee. After their success became more pronounced, other agencies caught on and followed suit, but not before it took its place at the helm as one of the volume leaders of the microstock industry. Customers were charged $139 for the ability to download 750 images per month, putting their cost per download (if used 100%) at about 18.5 cents per image. Contributors earned a flat rate of $0.20 per download, putting their profit at -1.5 cents per download at 100% usage. However, as we now know (since Shutterstock is a public company), most customers use about 10-15% of their allocated images on average. This means that back in 2006, the average customer paid approximately $1.24/download while the contributor earned $0.20. This provided Shutterstock with an 81% profit margin on each download, or in other words, a 500% premium on what contributors were paid. 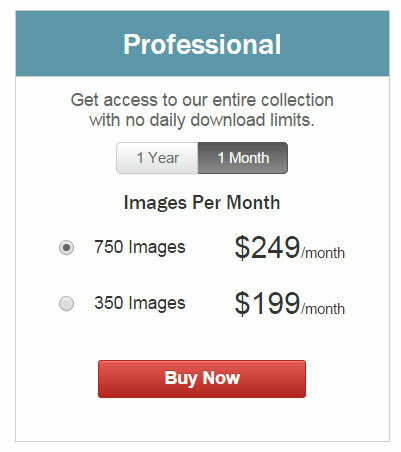 Customers pay $249/month for 750 image downloads. This translates to a cost of $0.33 per download at 100% usage. Contributors get paid between 25 cents to 38 cents a download – we’re going to stay closer to the lowest tier for our calculations because we don’t know how many contributors Shutterstock has, and the ability to get to $500 in earnings requires approximately 2200 downloads, which is no easy feat. So we’ll use $0.28 as our average marker. 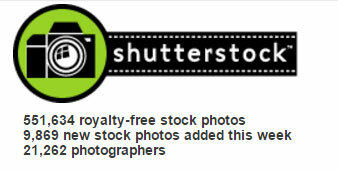 This means that at 100% usage, Shutterstock’s profit is now 5 cents per download versus the -1.5 cent loss from 2006. However, as previously mentioned, on average, customers use between 10-15% of their allocated monthly downloads. 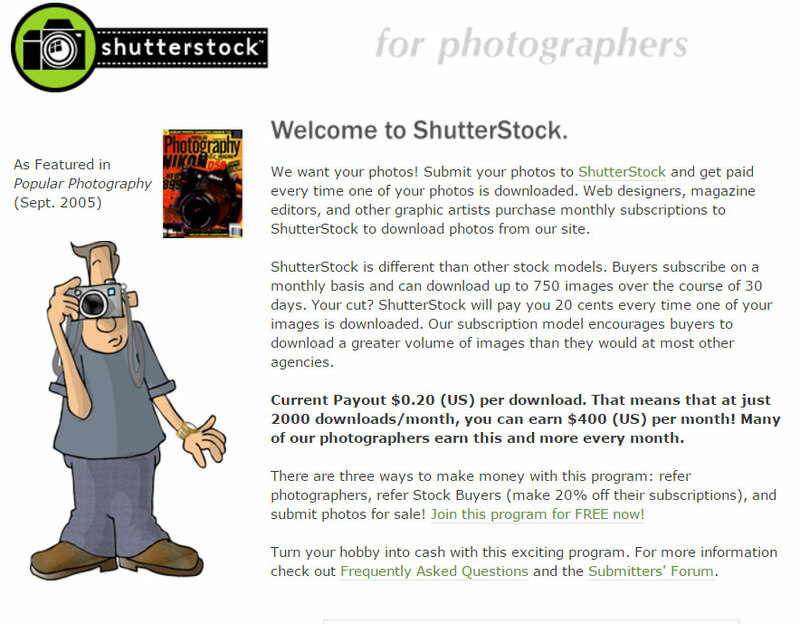 This means that customers pay Shutterstock approximately $2.21 per download while contributors earn approximately $0.28. 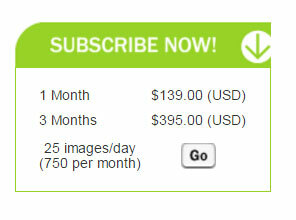 This means Shutterstock currently maintains a profit of about $1.93 per subscription download, or an 87% profit margin. This is an increase of 6% from 2006. 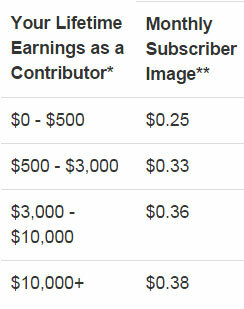 More specifically, Shutterstock retains a 690% premium on what contributors are paid. 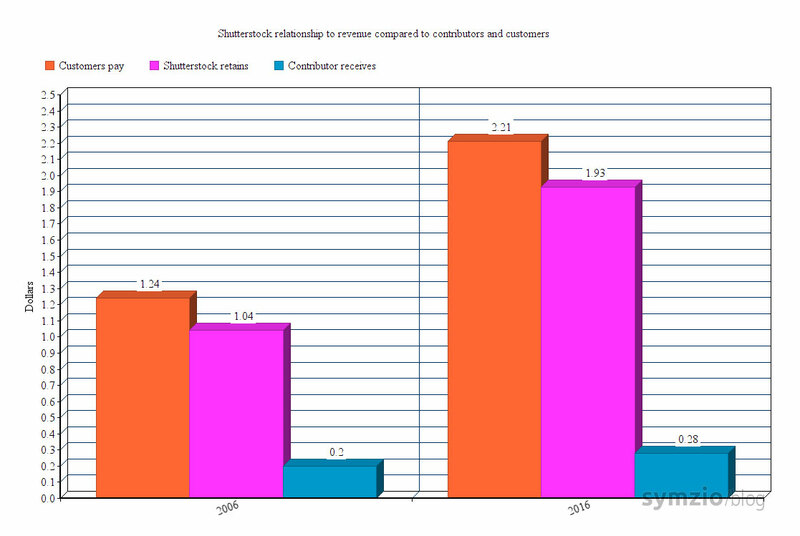 As you can see, Shutterstock’s share of revenue has closely hugged and followed customer costs while contributor earnings have grown disproportionately. Oddly enough, despite looking at this graph, contributor earnings have increased on a percentage basis by 40%! But because the original payment per download was so low, this translates to a paltry $0.08 of growth while the total revenue per download has increased by nearly $1. Is this graph exact? Probably not, because we do not know all the inner workings of Shutterstock, nor do we take into account on demand downloads. However, based purely on likely speculation, isolating subscriptions which arguably form the basis of Shutterstock’s entire business model, this is a relatively accurate depiction of how trends have progressed in the microstock industry over the last ten years. The important thing to take from this is Shutterstock pioneered the subscription model which every other corporate agency now uses; it became a successful alternative to selling media on demand because it kept the actual costs (and therefore profits) of each download relatively obscure from both customers and contributors. This permitted the agency to make small changes to increase profits in increments without raising any clear red flags with contributors or customers. But as we look at the graph above, we see that something is wrong with that picture, as all of the equity these large companies have is, in the end, controlled, created and owned by individuals that are earning the smallest portion of the pie. “21k photographers with 551k photos averaged at about a whopping 26 thousand images per contributor”. No, it’s not. It’s 26 images per contributor. I stopped reading the article here. Thankfully that miscalculation plays no part in the remainder of the math – thanks for pointing it out!